Anne W. Burrell was born on the 21st September 1969, in Cazenovia, New York State, USA. She is best known for being a chef and TV personality, who has worked at the Institute of Culinary Education and has hosted her own show entitled “Chef Wanted With Anne Burrell”. Currently she is hosting “Secrets Of A Restaurant Chef”. Besides that, she has appeared in “Worst Cooks In America” (2010-2016), and “Iron Chef America” (2011). Her career in the food industry has been active since 1996. Have you ever wondered how rich Anne Burrell is? According to sources, it is estimated that Anne’s net worth is over $5 million as of early 2016. Her career as a chef as well as her career as a TV host has earned a big part of her wealth over time. 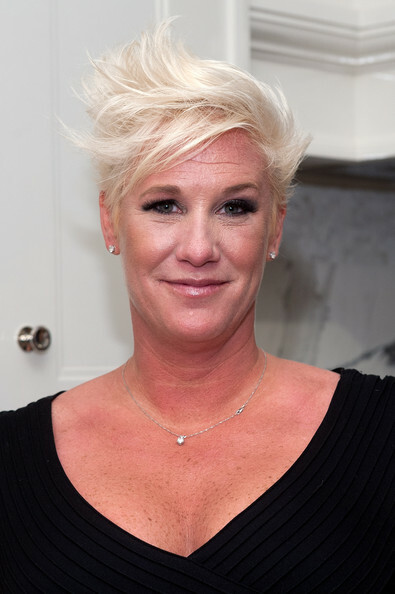 Initially, Anne Burrell studied English and Communication at the Canisius College in Buffalo, from where she graduated in 1991 with a BA degree in English and communications. The following year she decided to study at the Culinary Institute of America, from which she graduated with an Associate in Occupational Studies (A.O.S.) in 1996. Anne attended the Italian Culinary Institute for Foreigners as well. Anne immediately ventured into the food industry, in Italy, searching for a job in a few restaurants. Anne briefly worked at the La Bottega del ’30, but then returned to the USA, where Anne met up with Lidia Bastianich, who hired her as a sous chef at her own restaurant “Felidia”. She then acquired a job at the Savoy, on the recommendation of Lidia Bastianich. After her tenure at the Savoy, Anne was hired as one of the teachers at the institute Of Culinary Education, which increased her net worth to a certain degree. After that, she served for a short time as executive chef at Centro Vinoteca, an Italian restaurant situated in New York City, but had to leave because of her tight schedule on television. To speak of her television work, it certainly became the main source of her net worth, as she has appeared as a chef in more than 40 TV reality shows and series,. Her career on television began in 2008, when she starred in the reality show “Secrets Of A Restaurant Chef” (2008-2012) The next year, she was featured in the Food Network show “The Best Thing I Ever Ate”, and in 2010, Anne was one of the chefs in the reality show “Worst Cooks In America” (2010-2016), in which she still regularly appears. Furthermore, Anne has appeared in shows such as “Food Network Star” (2009-2015), “The Next Iron Chef” (2011), “The Best Thing I Ever Made” (2011-2012), “Chef Wanted With Anne Burrell” (2012-2013), “Chopped” (2011-2015), “Rachel Ray” (2014), “Guilty Pleasures” (2015-2016), “Beat Bobby Flay” (2014-2016), “Best Thing I Ever Made” (2011-2012), and numerous others. Obviously all have added considerably to Ann’s net worth. When it comes to her personal life, Anne Burrell has declared as a lesbian, and is in a relationship with Koren Grieveson, who is also a chef. In December 2012, Anne published on her official Twitter account that she is engaged to Koren. 1 Her first food job was at McDonald's, at age 16. 2 Engaged to chef Koren Grieveson [January 31, 2013]. 3 Her sister, Jane Burrell, is a registered dietitian and the mother of three children. 4 Her niece was born in 2004. 5 Attended Canisius College in Buffalo, New York and graduated with a Bachelor of Arts (BA) in English in 1991. A year later, enrolled at the Culinary Institute of America, eventually graduating in 1996 with an Associate in Occupational Studies (A.O.S.). Also studied at the Italian Culinary Institute for Foreigners in the Piedmont region. 6 An instructor at the Institute of Culinary Education in New York City. 7 Chef. Inspiration to become a chef came from her mother, who was such a good cook. 8 Favorite local food treat: "Coconut Layer Cake" at "Smith & Wollensky" in New York City. What’s Dorchester & Michelin Guide Chef Alain Ducasse’s Net Worth?